Steep slope roofing projects, mansard roofs and truly unique roofing requests can drive some roofers crazy. For others, it’s all about embracing the challenge. 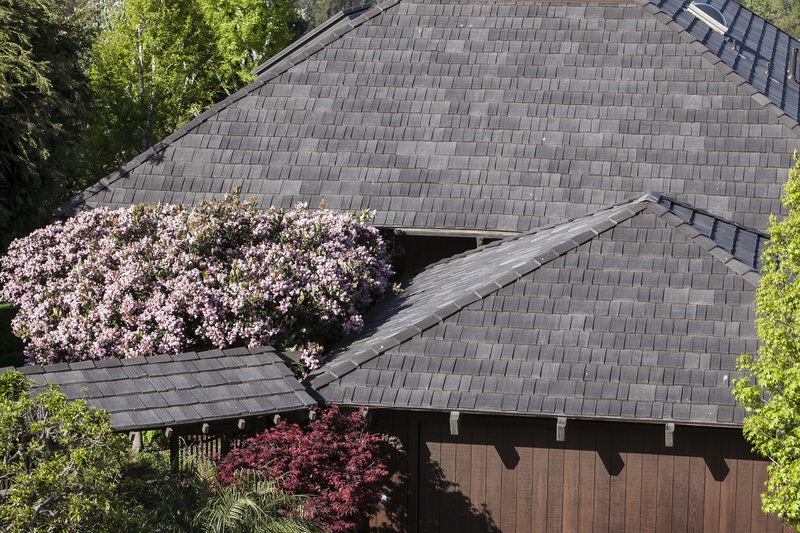 When roofer Guy Galitski was asked to re-roof a home in California with a steep 12/12 pitch, he and his team eagerly tackled the job. The fourth-generation roofers at Detroit Cornice and Slate Company were tasked with a different challenge when the chapel at the Dayton Veterans Administration Medical Center needed a new roof. They were asked to replicate a large cross with a star-studded border in light colors against a background of black that was originally on the historic church. According to Hesse, the biggest challenge facing the team on the chapel project was gaining a full understanding of the roof’s original design. “We’re experts in slate and flashing details, and knew that this project would require careful pre-construction planning,” says Hesse. “Multiple layouts were created and reviewed by all members of the team. It was a time-consuming process that required patience and input from everyone involved.